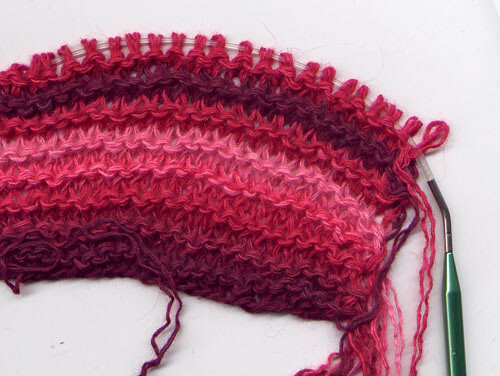 Front and back of 2-row garter stitch striped fabric. 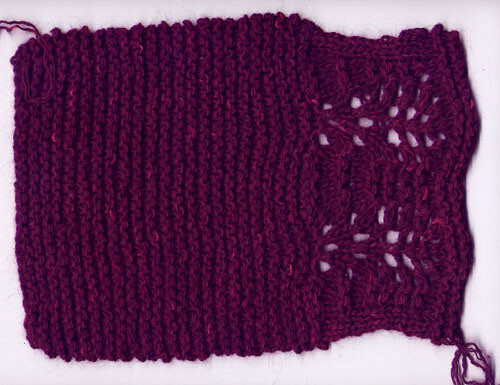 I think this may become a side-knit vest / shell. 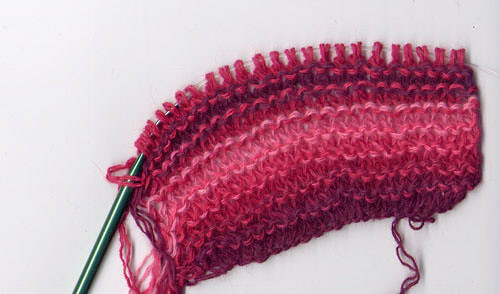 This is another swatch knit in the same yarn, with smaller needles (US#9), and followed by a feather and fan pattern. 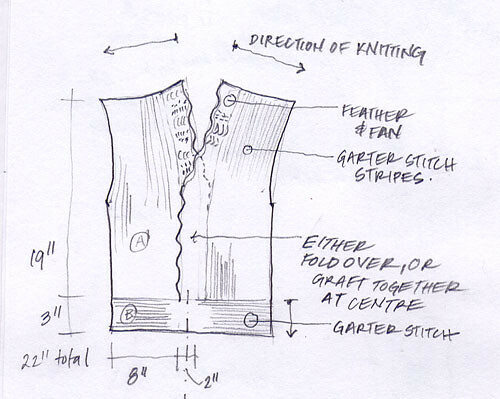 I’m working on the design of a side-knit shell / shirt with these 2 patterns. no trouble telling that you work in drafting.. ;) Looks interesting, I love it!